Are you looking for an easy, quick and amazingly tasty home cooked meal that can be ready in less than 20 minutes? Of course, we all are! And in my house the time the kids say “we are hungry” to the time they are revolting to eat can seem moments apart. That is why I am excited to share a simple but delicious meal that leaves everyone feeling full, thanking mom, and enjoying the leftovers the next day. Do you love chicken? Do you love rice? 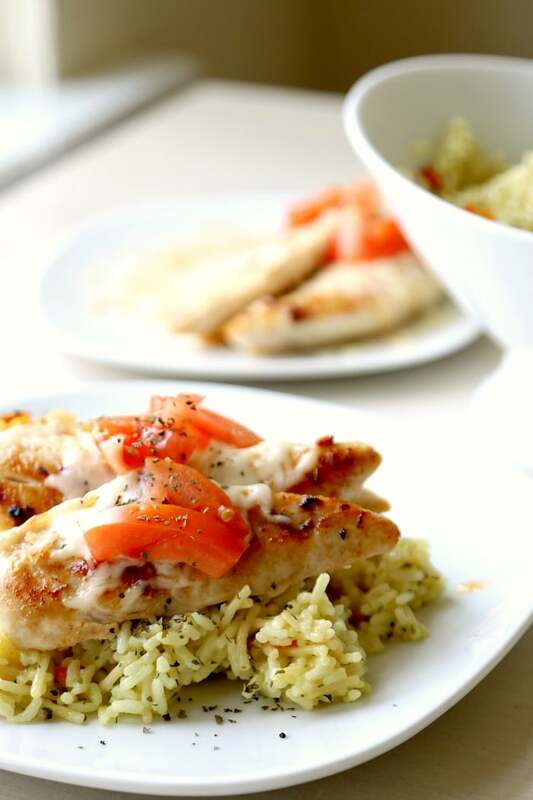 How about this very tasty take on the chicken and rice meal and I am here to show you two ways you can enjoy it! First, I altered the Knorr Bruschetta Chicken side to be a full complete meal. You can cook my altered recipe for a great family dinner any day of the week OR you can simply make the original recipe and dish up a hearty side to any other meal! 1. HEAT oil in large nonstick skillet over medium-high heat and cook chicken, stirring frequently, until chicken is thoroughly cooked, about 4 minutes, adding garlic during the last 30 seconds of cook time. Remove and set aside. 2. PREPARE Knorr® Rice Sides™ – Creamy Chicken flavor in same skillet according to package directions. 3. STIR in chicken and tomatoes. Sprinkle with mozzarella and basil. · Tip: Serve with a drizzle of balsamic vinegar. 1. PREPARE Knorr® Rice Sides™ – Creamy Chicken flavor according to package directions. 3. 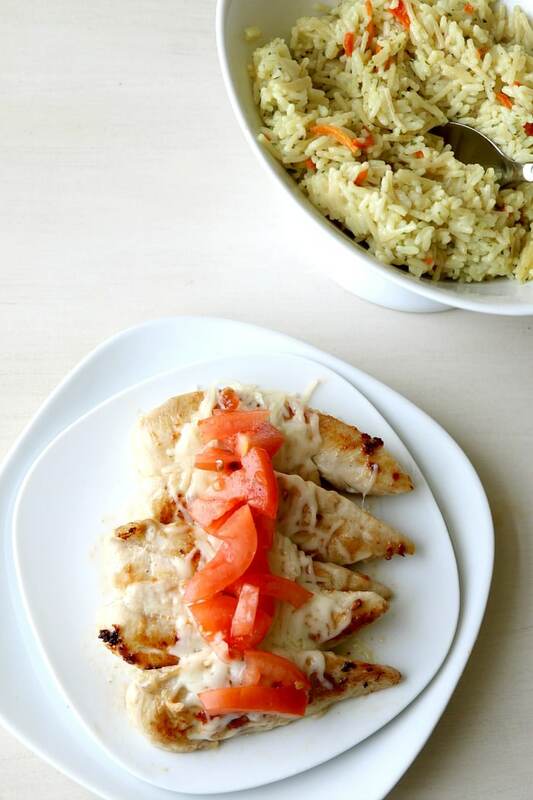 Add completed chicken on the top of your rice sides, top with mozzarella and basil. Wondering what we used for our rice? Plain rice can boring and you have to add so much to it to make it work. Plus it generally takes my rice cooker 55 minutes to make rice. You read that right…55 minutes! But with Knorr you can be done with a fraction of that time, costs about $1 and already includes the perfect amount of seasoning to compliment your dinner or side dish. Now are you ready to win? I have a fun twitter contest that you can enter. All you have to do is RT to win for your chance at a $50 Meijer Giftcard. Contest rules located here. Or head to my Facebook page for more info. I wish my husband liked rice because this looks delicious and easy. But this would be great for days he works late, or for easy lunches for the kids and I. My husband took it for lunch today at work! How can your spouse not like rice?? Be still my heart!